The St. Tammany Parish Hospital Hospice program provides palliative and supportive care to terminally ill patients and their families in the home through an interdisciplinary team that addresses physical, psychological, social and spiritual needs. Services are covered by Medicare and private insurance companies. Funding may be available for patients with no insurance coverage. Grief counseling is open to anyone who has experienced the death of a loved one under hospice care or in the community. Monthly support groups and weekly walk-in sessions are offered. Caregiver support groups are open to anyone who provides care to individuals (from pediatrics to geriatrics) with ongoing medical needs. Contact the Hospice chaplain’s office at 985-871-5746 for more information. Hospice volunteers are specially trained individuals who visit terminally ill patients and their families at home and provide comfort, support and companionship. Volunteers may run errands or simply sit with the patients and read to them. 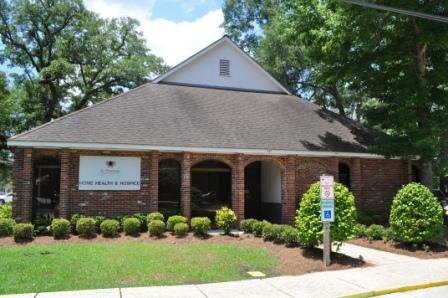 Volunteer clerical positions within Hospice of St. Tammany are also available. Volunteers in a healthcare field find great satisfaction in helping people and providing needed services. For more information on becoming a Hospice Volunteer, please contact our Volunteer Coordinator, Charlotte Chauvin. "When we thought there was nothing more we could do, Hospice was there with the compassion and help for our loved one and our family."